Idahoans have long held our salmon in high esteem. Our famous Salmon River, along with towns and businesses, bear their name. We have protected wilderness to give them pristine waters to reproduce in. We all want wild salmon in our children's future. Not Raul Labrador. He has co-sponsored legislation in congress to roll back all salmon recovery measures and "Grandfather" in the four Lower Snake River Dams in Washington. Labrador claims they have hydropower, flood control, irrigation and navigation benefits. Only 4 percent of the region's electricity. 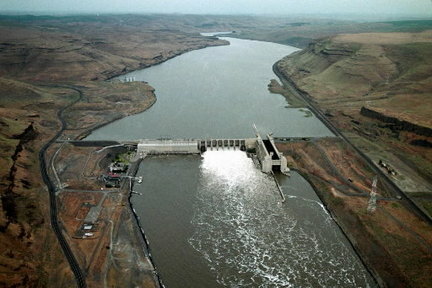 A study by the Northwest Energy Coalition shows solar and wind power can replace the 4 percent. No flood control. These are "run of the river" dams and have no impoundments to capture water. Irrigation. Again, no water storage for irrigation. Navigation, yes, a little bit of grain from Lewiston. I don't feel any of us are ready to subsidize that on the backs of our salmon. So once again we see Labrador has no idea of what he is talking about. He knows nothing about, or else he is lying, about where the states and Indian Tribes stand. He states "there is a broad scientific consensus of the federal government, Idaho, Oregon and Washington that the dams must be protected." As recently as a decade ago the Idaho Fish and Game Commission unanimously agreed the best way to save salmon is to remove these dams. Washington's own Senator is criticizing the bill, Oregon continuously aligns itself with conservationists against the dams. Another Labrador fabrication. He's bad news. If he is willing to destroy salmon, what will he do with our public lands? We need to protect our quality of life.